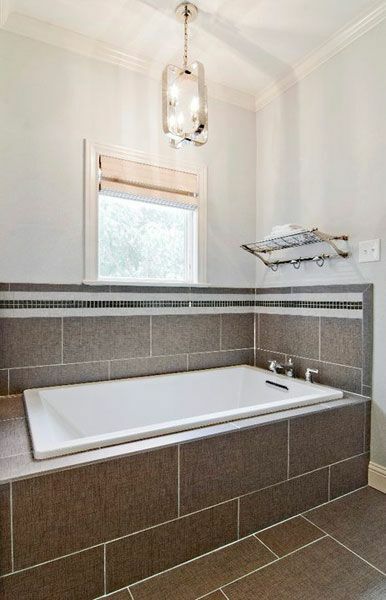 Client need: Update the countertops and backsplashes in the kitchen, and the countertops in the master bath, with custom granite. The stove was replaced with a new stainless-steel model. 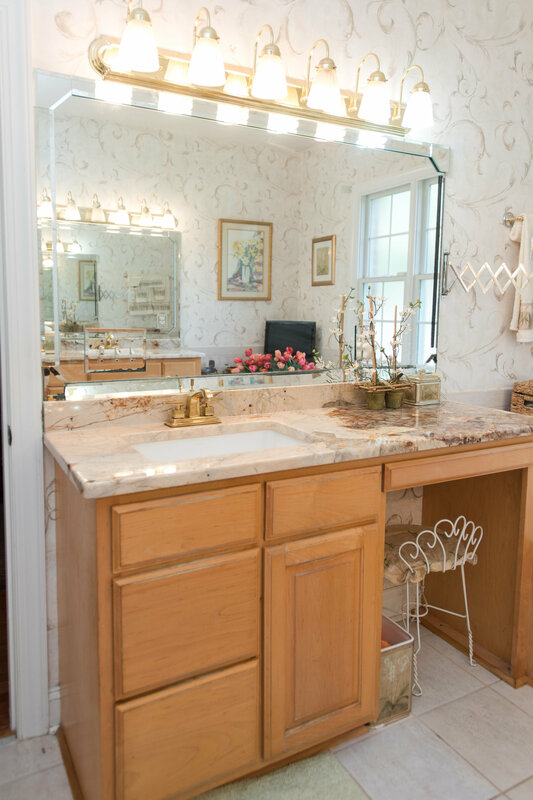 Our solution: Our client liked the layout and cabinetry in her kitchen and bath, but wanted to upgrade the countertops and backsplashes with custom granite. 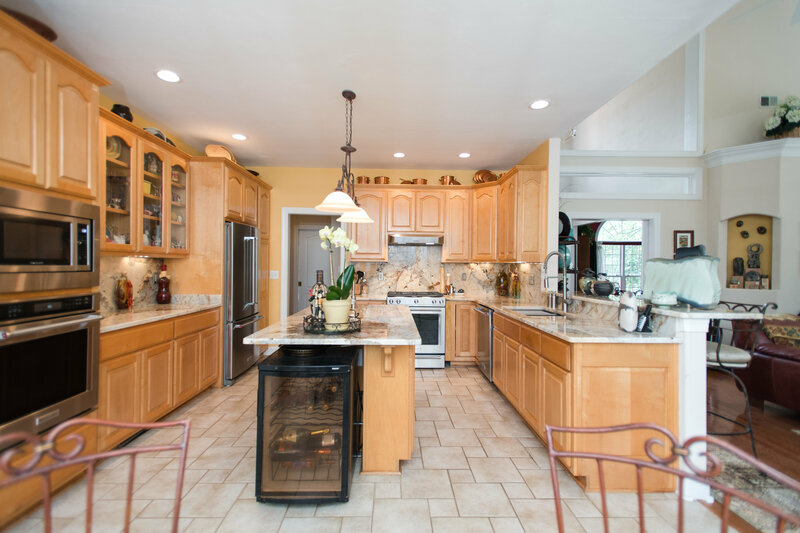 We put her in touch with our kitchen designer, who helped her select the perfect new look for both rooms. 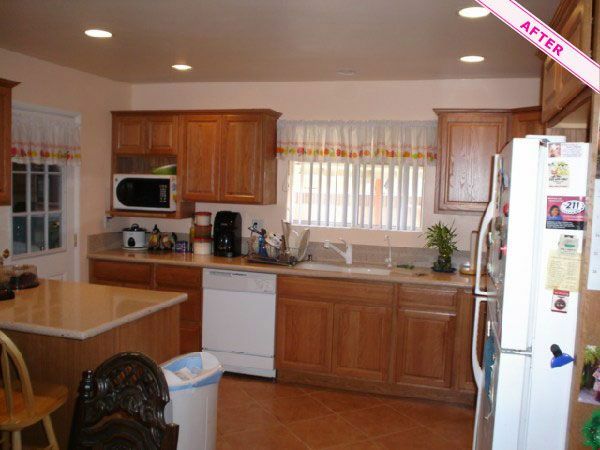 The kitchen cabinets were modified to allow for a new stainless-steel gas stove, and range hood.